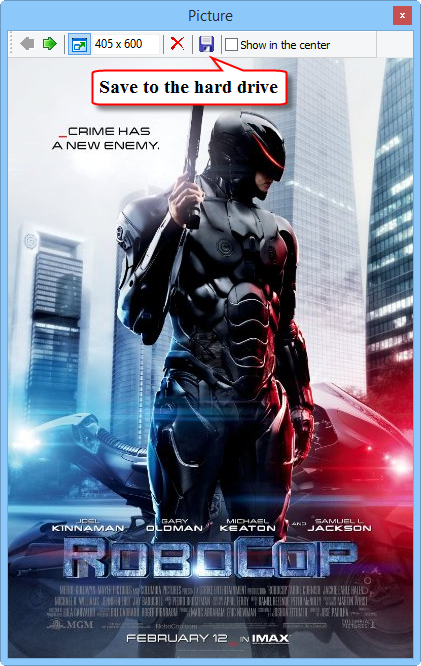 When you add your movies / TV series and download information about them, Movienizer downloads a movie cover along with other details. As a rule, it is the main cover for the given movie in the corresponding online movie database. Such cover image may contain some references to the corresponding media (DVD, Blu-ray, etc.). In other situations, a movie poster may be used as its 'cover'. 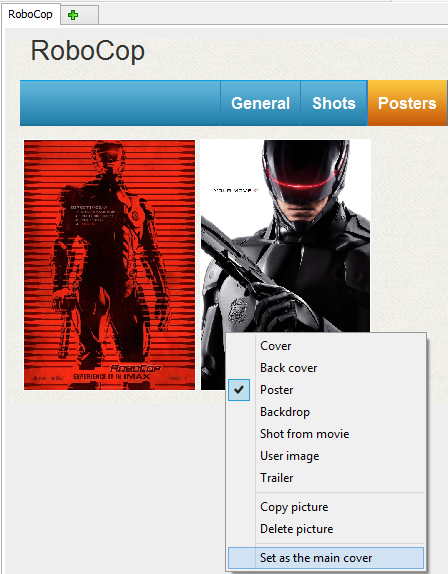 If this option is enabled, Movienizer will still download covers from the selected online movie database, but your cover will be preferred (displayed as first). It is also displayed in the main movie list (on the "Movies" tab), in search results (on the "Search" tab), in the mouse-over preview. In most user interfaces of Movienizer, the main cover is the only cover shown by the program in various places (lists, movie pages, etc.). If there are any additional covers, they are hidden. 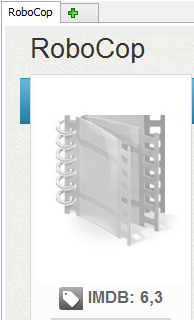 You can access them by clicking the main cover and using the forward button in the image viewer window. 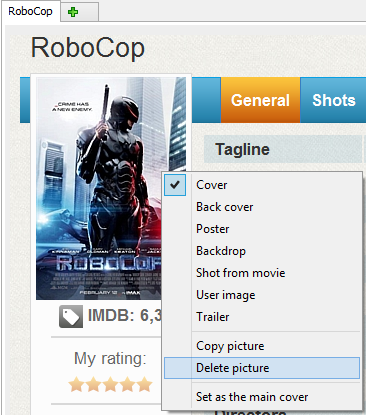 If you delete the main movie cover or change its type, the next available cover image will be set as the main cover. 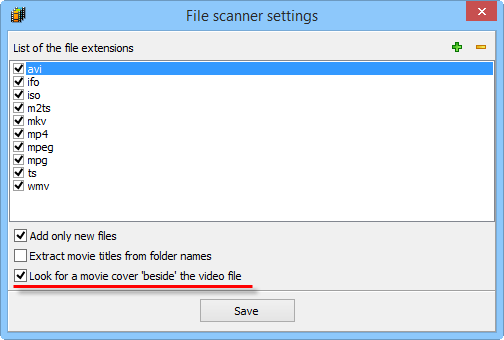 To restore a movie-specific picture, select a suitable image and change its type to "Cover". If there are several covers, and you can replace the main movie cover with one of them, just go to the "Pictures" tab of the "Edit info" window for the movie. Click "Covers" just below the tabs to hide pictures of other types. Select your favorite cover and drag it to the very first (leftmost) position. The black vertical line shows where the dragged cover will be inserted when you release the left mouse button. 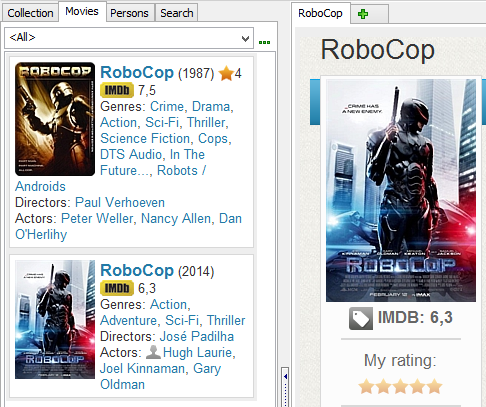 Now the cover that you've dragged to the left will be used as the main cover (in lists, preview, on the movie page). Pictures of other types can also be used as covers. Just right-click the corresponding picture and change its type to "Cover". Any cover (just like any other picture in the program) can be saved to your HDD or to any other storage device. Now, find and click the diskette button on the toolbar of the image viewer. This will open a "Save as" dialog, where you can choose a location and a filename for the cover image file. If you'd like to create covers for all your movies at once, try the "Export to Windows Media Center" plugin.